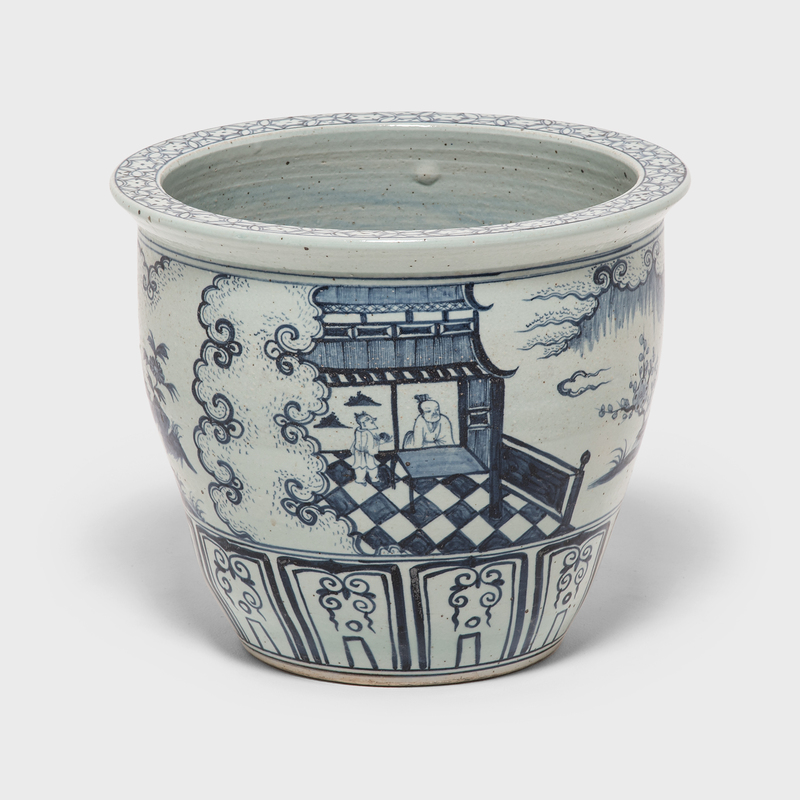 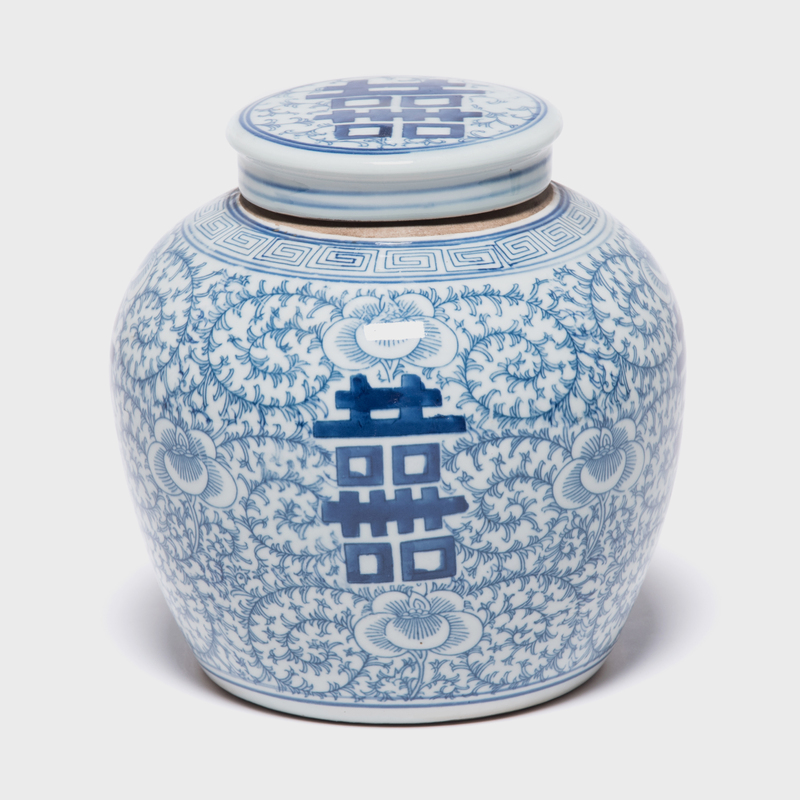 Based on vessels fired in ancient Chinese kilns, this jar's perfect proportions haven't changed much since the Bronze Age. 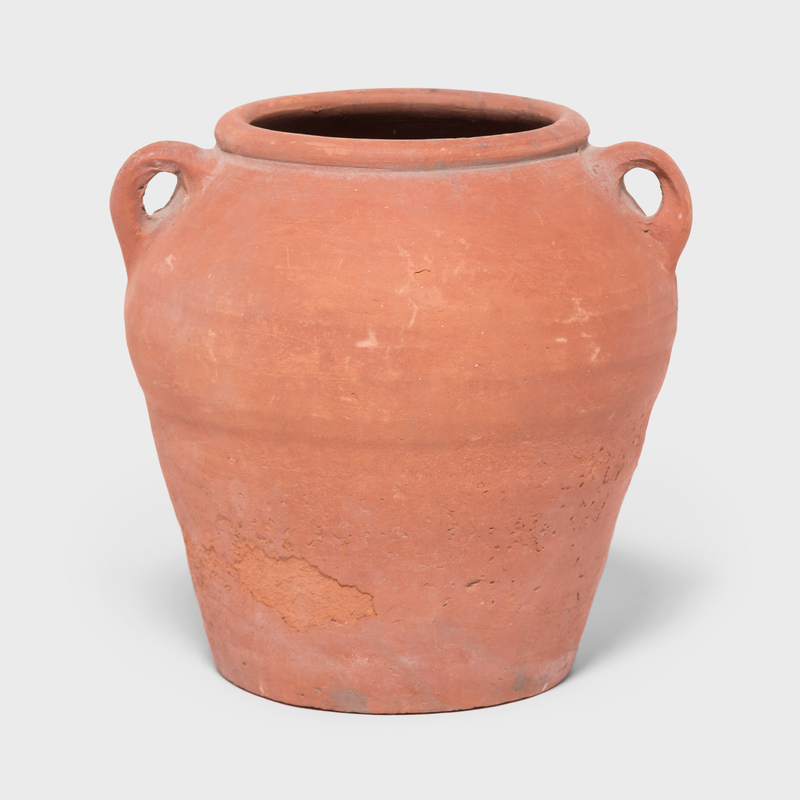 Keeping in the tradition of its predecessors, this early 20th-century ceramic vessel is glazed with a slip of red clay, yielding a warm, terracotta coloring. 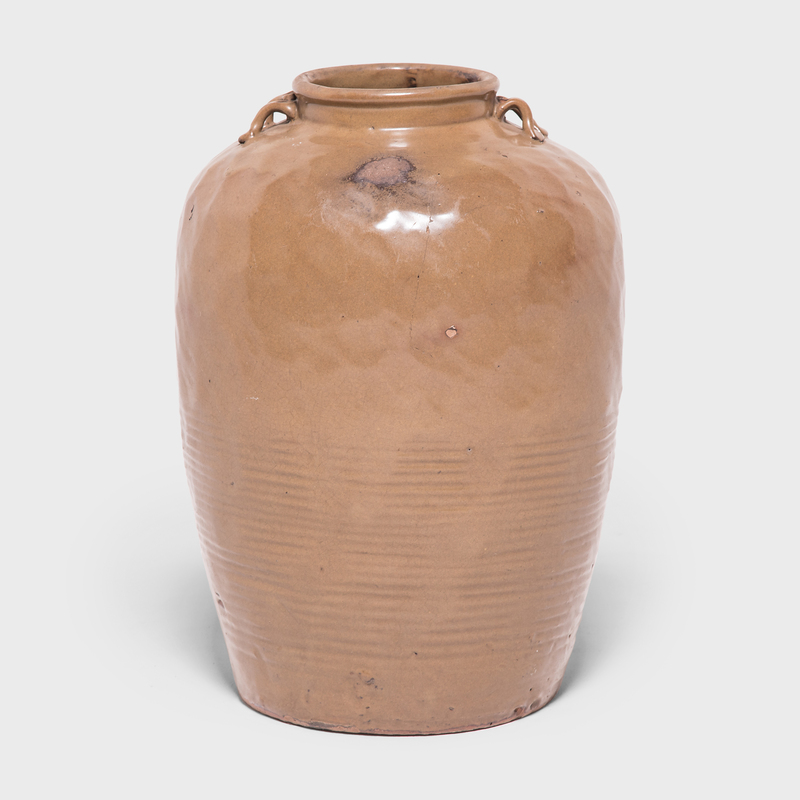 Two small strap handles sit on the high shoulders of the jar's otherwise unadorned tapered form. 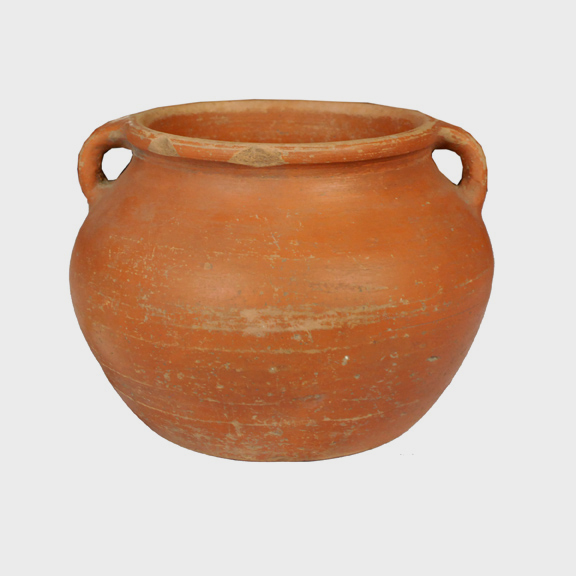 Originally used as a soup pot, the well-worn jar has gained a fantastic texture over time, making it perfectly imperfect.